Know of anyone with a heart of gold? Why not make their day and present them the gift of wealth preservation with this 0.5g heart-shaped pendant/bar by Infinity Gold. Minted from pure 999.9 gold, it makes for a keepsake that will be cherished for generations. 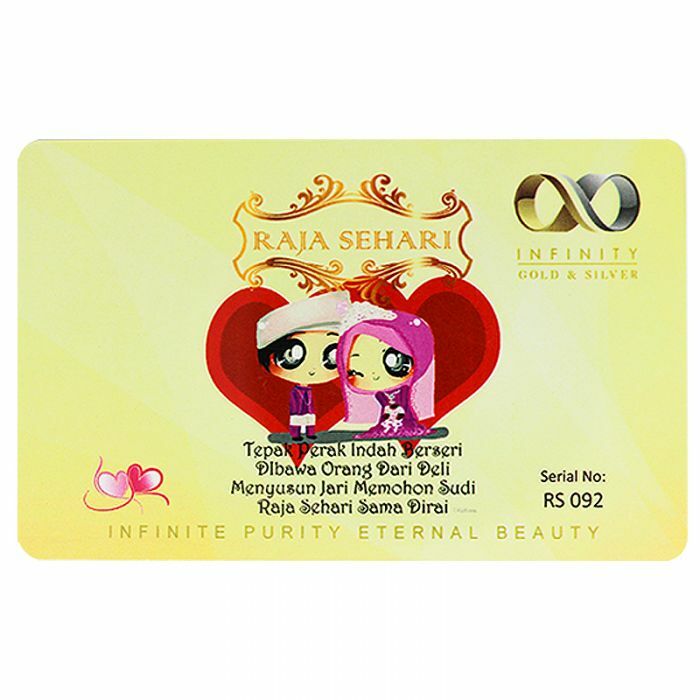 Present the newlyweds the gift of wealth preservation with this Raja Sehari heart-shaped bar by Infinity Gold. Minted from 0.5g of pure 999.9 gold, it would serve well as a commemorativ memento for the couple (and also serve as a solid reminder about the importance of wealth preservation in a harmonious household). 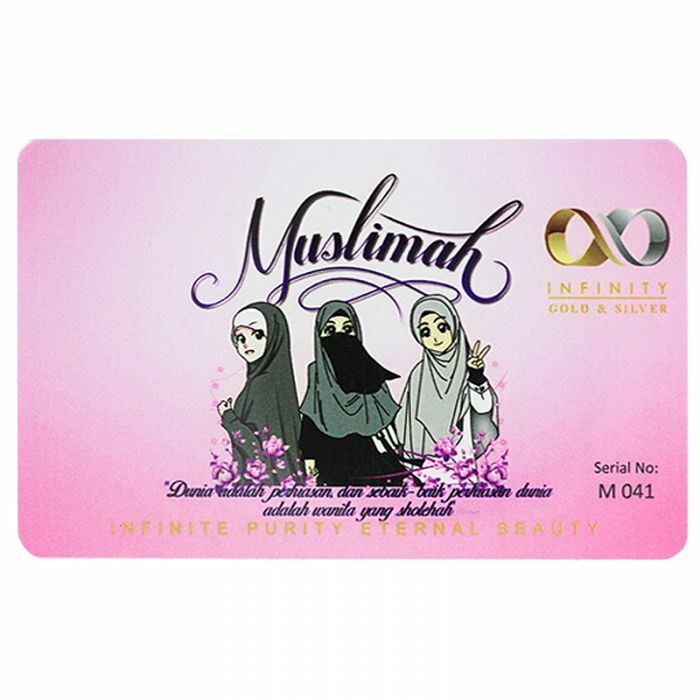 Every Muslim parents' hope is for their daughter to grow up to become a successful Muslimah. Why not start early with this 0.5g pure 999.9 gold heart-shaped pendant by Infinity Gold. 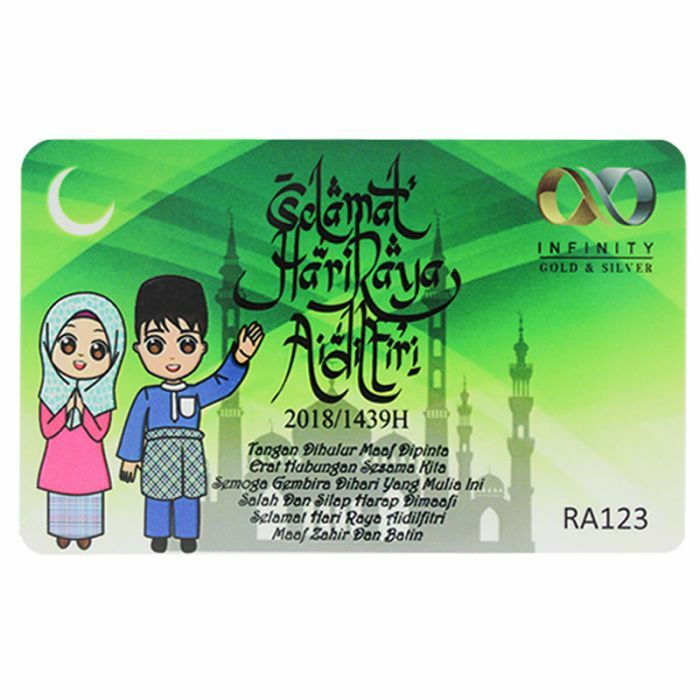 Equally effective as a cherished keepsake; an effective store of wealth; as well as a reminder to them to stay on the straight path. 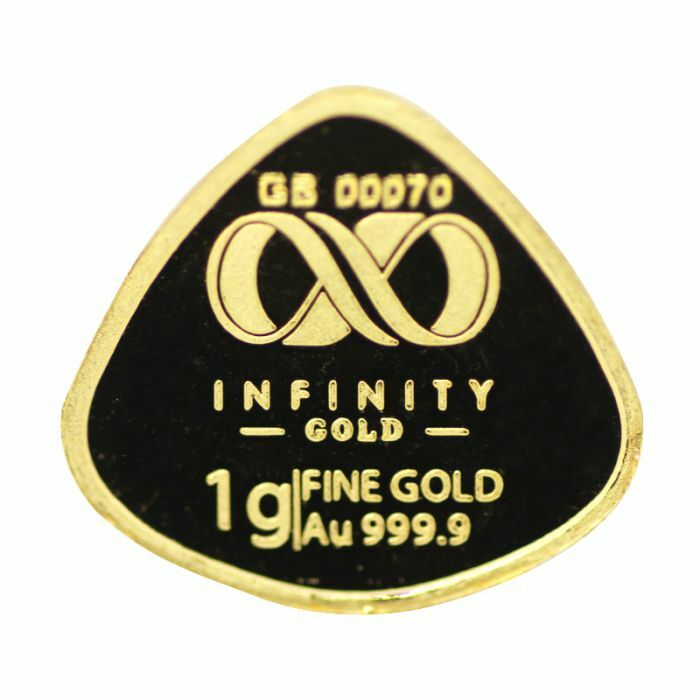 This commemorative 1g pure gold was minted for Infinity Gold, and will make a great gift for loved ones and collectors alike, or kept for investment for the preservation of wealth. 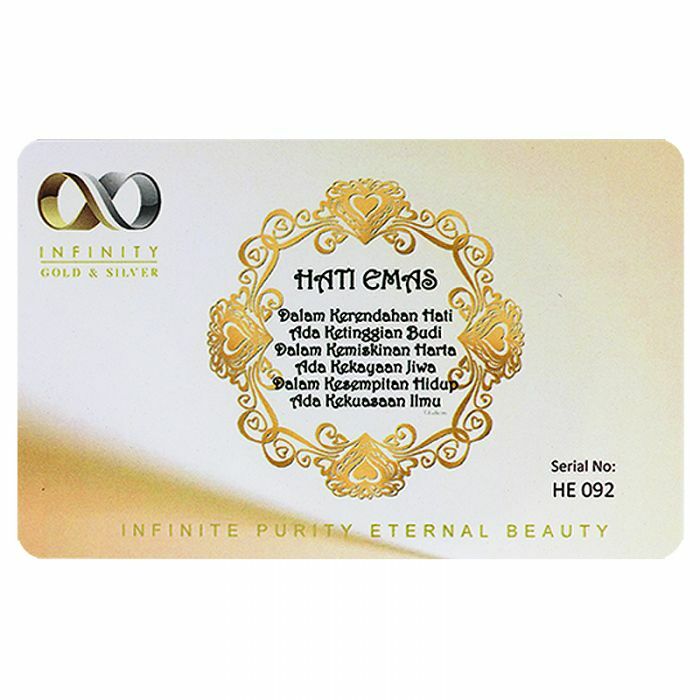 Design - the obverse features the Infinity Gold logo, along with the weight and purity. 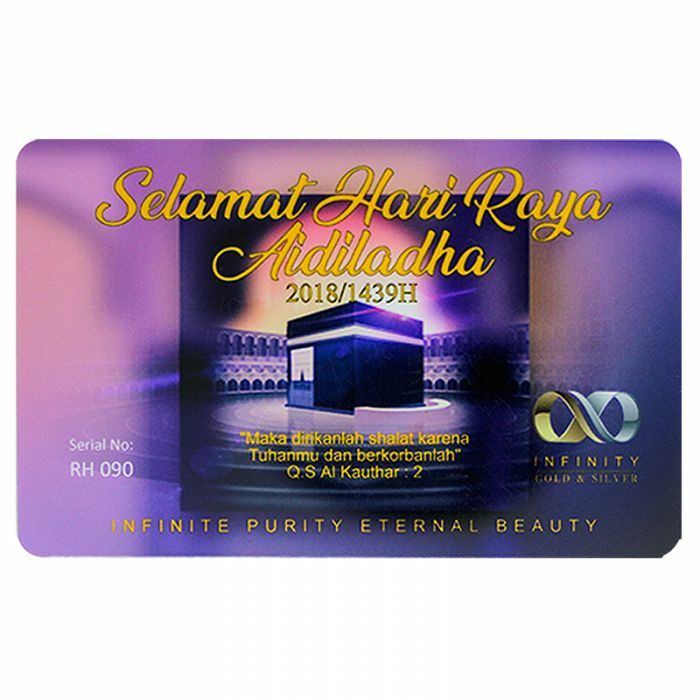 The reverse features the inscriptions 'Signature by Infinity 2018', along with the tagline 'Infinite Purity, Eternal Beauty'. 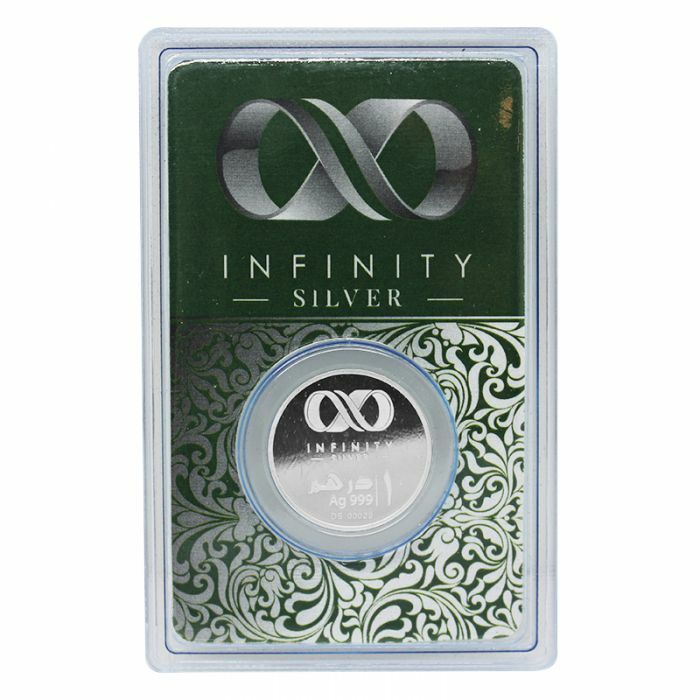 This commemorative 1 dirham pure silver coin was minted for Infinity Silver. This silver coin will make a great gift for loved ones and collectors alike, or kept for investment for the preservation of wealth.